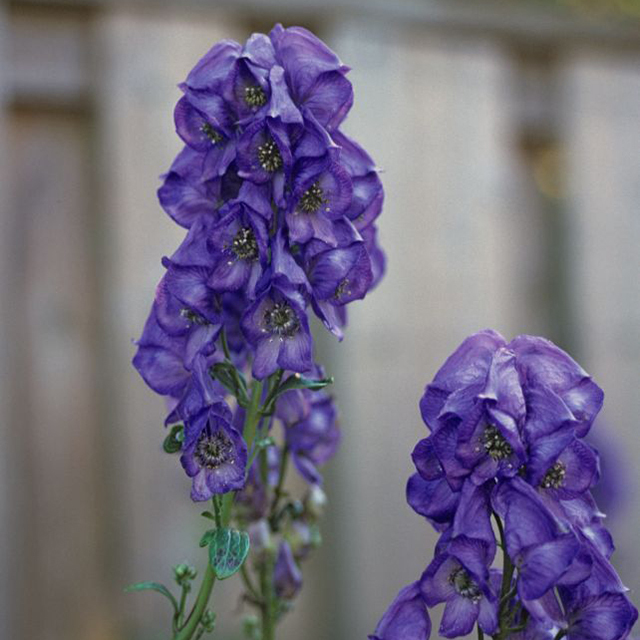 Wolfsbane is a beautiful—and poisonous—fall-blooming perennial. It also has a colorful history associated with werewolves, vampires, and witches. The plant has been a familiar plot element in horror movies, television shows, and novels. In the Harry Potter series, Remus Lupin, a tormented werewolf, drinks a potion of wolfsbane carefully concocted to control his transformations. As early as Dracula in 1931, wolfsbane casually replaced garlic as a repellent for vampires in film. Nevertheless, the correlation of wolfsbane with the supernatural predates Hollywood and familiar authors. In Greek myth, wolfsbane (Aconitum) originated from the toxic slobber of a three-headed dog named Cerberus, the scary canine guardian to the gates of Hell. In the Dark Ages, wolfsbane was said to be used by witches in spells and potions and was one of several ingredients for an ointment that, when applied to a broom, could facilitate flight. Stories also proclaimed that a sorceress who carried wolfsbane seeds wrapped in lizard skin could become invisible and witches who applied the poisonous sap to their flints and launched them at unsuspecting enemies. One thing both Hollywood and horticulturists can agree on: wolfsbane is a potent plant. Ingesting wolfsbane is typically fatal. The plant belongs to a genus of highly poisonous perennials known as monkshood or aconite. They naturally grow in mountainous areas across the northern half of the globe and are also planted in gardens for their deep purple blooms, which continue flowering long after other perennials fade for the season. Ancient Greeks hunted wolves by poisoning their bait with this plant, which lead to the common name of wolfsbane. 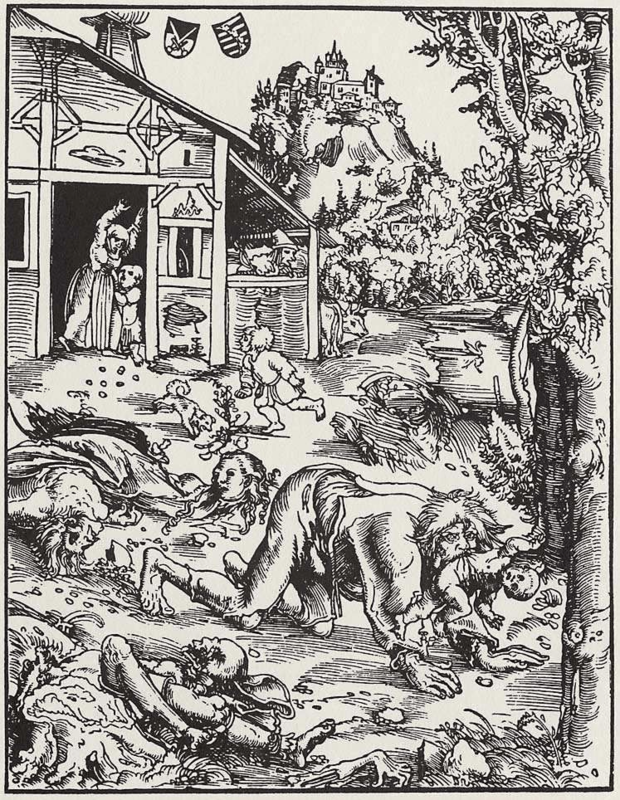 While those hunting traditions were lost, the plant retained its common name into the Middle Ages, where wolves and werewolves were a genuine fear in Europe. Frightened folks turned to growing wolfsbane for their protection, as superstitions said that werewolves could be repelled by the plant, or even tamed by it. Others, however, believed that having contact with wolfsbane on a full moon could actually cause shape-shifting. 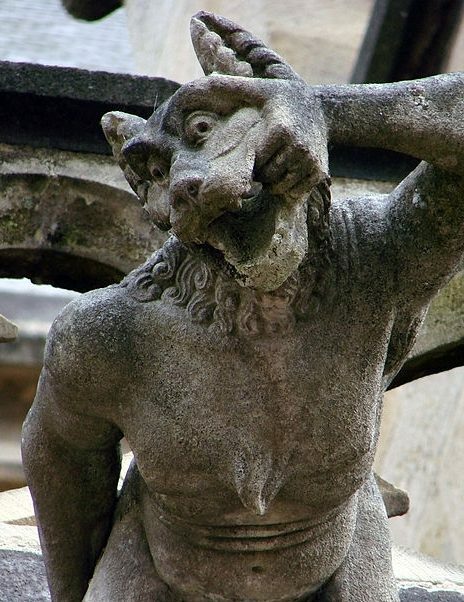 Patients who suffered from lycanthropy (the delusion of being a wolf) were prescribed regular—and often lethal—doses of wolfsbane by their medieval doctors. For gardeners, it is important to remember to always wear gloves while handling a deadly plant such as wolfsbane. 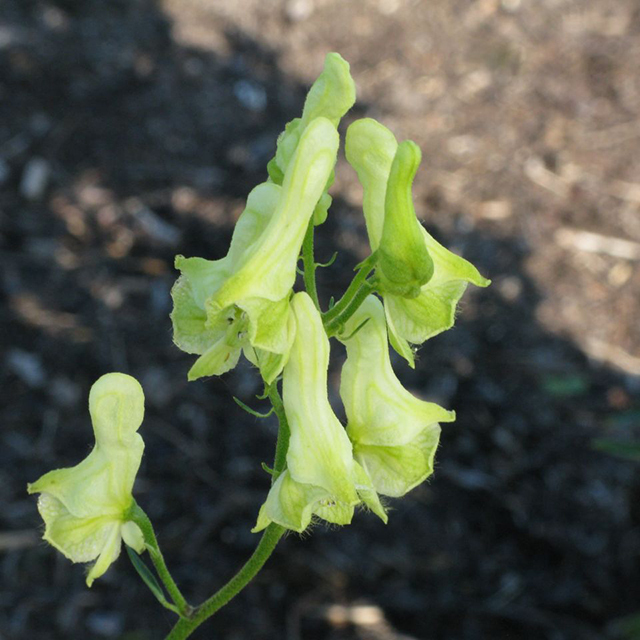 Find wolfsbane at the Garden with our Plantfinder or on the GardenGuide app. Remember to look—don’t touch!—its beautiful blooms. Happy Halloween!